Originally the site of Abita Springs largest quail farm, the Abita Quail Farm has become one of the finest event facilities in the area. The Abita Quail Farm specializes in weddings, receptions, rehearsal dinners, cocktail parties, picnics, proms, fine dinners & corporate functions. Purchased in February 1998 by Jane & John d’Hemecourt, they have committed themselves to providing the highest standards of food and service adding special touches to personalize any occasion. The Quail Farm is set on 53 rural acres. A park like setting in the town of Abita Springs, Louisiana. Covered with Louisiana cypress, live oaks and pines, and a four acre artesian fed lake, the farm lends itself a natural for picnics and other outside events. 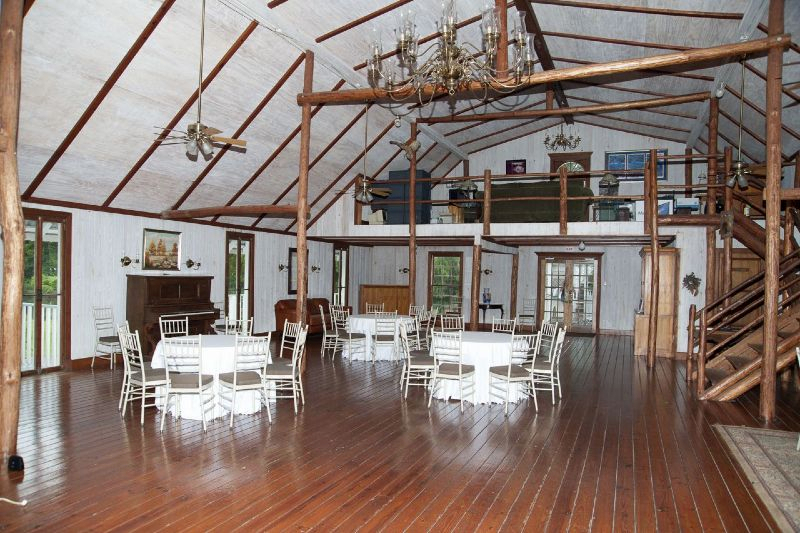 In addition to the outside the Quail Farm also provides three ballrooms for the site of your next event. The Main ballroom, with its large capacity and high ceilings offers a grand facility to accommodate the larger space that may be needed. The Music room on and overlooking the lake, is the ideal room for elegant dinners, wedding ceremonies and receptions. The Cypress room with its bare cypress beams and posts add a distinctive and rustic feel to any function. All rooms can be set accordingly for weddings and receptions, to smaller rehearsal dinners and corporate seminars or meetings. We take great pride in helping to make your event one to remember for you and your guests, from decorating and coordinating to having chef Jane d’Hemecourt and staff personally design and create a menu using the freshest and finest ingredients available. Please feel free to call for an appointment to enjoy the grounds and get the feel for that special day. Best wedding ever. We were married recently at the abita quail farm and can’t say enough about the wonderful experience. Excellent food, excellent service. The Quail Farm is a beautiful setting for a wedding reception. I have had many luncheons there for several different organizations, and everyone raves about the beautiful surroundings, delicious food and wonderful staff. I would highly recommend this location for a large reception or a small dinner meeting. It was a most memorable evening. Great Location for a Wedding. The quail farm is in a very picturesque location.